The mission of Campus Ministry is to connect a faith in Jesus to everyday life. Campus Ministry is dedicated to support and care for high school and middle school students, as well as provide opportunities for growth, leadership, and encounters with Jesus. Each campus ministry program is developed with the specific needs of the school. However, relational ministry & discipleship are the foundation for campus ministry at Ablaze Ministries. It is important that the campus ministers are a consistent presence in the school. 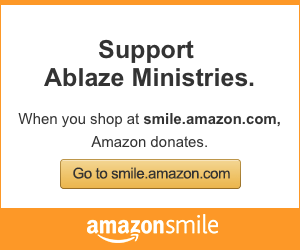 Ablaze campus ministers are available for any support a student might need. One of the most important questions Ablaze campus ministers ask is “How are you?” The campus ministers care deeply about the students and are invested in their spiritual health and development. This relationship is built over the school year, and pours into each student’s entire middle-to-high school career. After building a relationship between the campus minister and students, it is a priority for campus ministry to give each high school student the tools and support needed to live in holiness. Discipleship allows the campus minister to develop a student’s relationship with God beyond their school career. It is vital that each student encounter Christ personally and build a one-on-one relationship with Jesus. Each student will leave school and their friends will change, but the presence of God in their life will be a source of comfort and love forever. For more information about our Campus Ministry programs, please contact us.